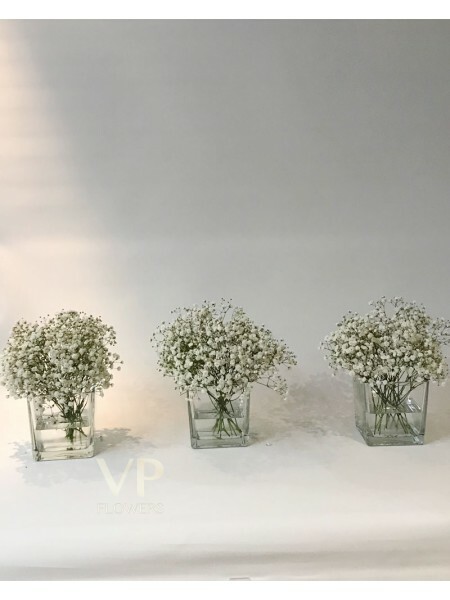 Beauty in simplicity, white Baby's-breath centerpieces made by VP Flowers florist is a perfect choice on your special day. Comes in 2 different sizes. Please note the price is for 1 piece only.